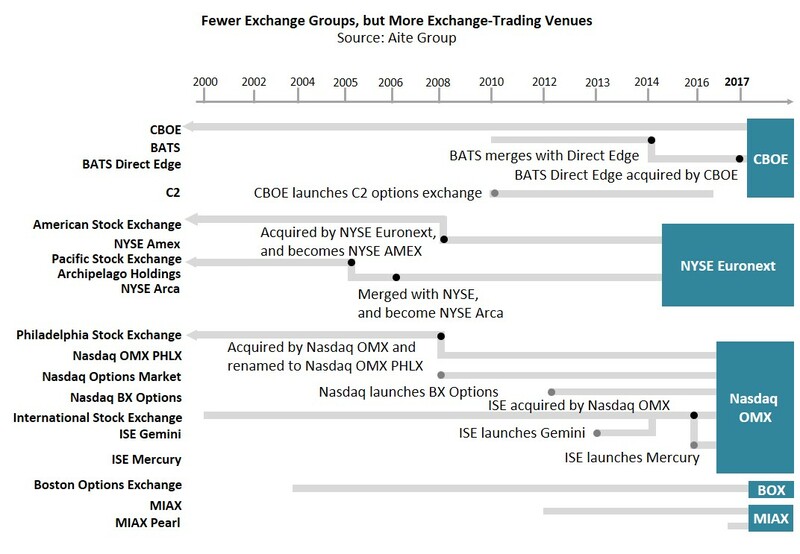 While the number of market-making firms has decreased, U.S. exchange operators continue to roll out new venues. Boston, January 31, 2019 – One of the most important trends in the U.S. options market to date is the exit of market-making firms. Many market-makers have packed up millions of dollars of technology and turned into professional traders—a move that diminishes market quality and transparency. But a meaningful, sustained shift to a new higher-volatility regime, driven by the macroeconomic environment shifts, would change the rules of the game. This 35-page Impact Report contains eight figures and four tables. Clients of Aite Group’s Institutional Securities & Investments service can download this report, the corresponding charts, and the Executive Impact Deck. This report mentions Bank of America, Barclays, CBOE Group, Citadel, Citigroup, Credit Suisse, CTC Trading, D.E. Shaw, Financial Information Forum, FINRA, Goldman Sachs, Group One Trading, HAP Trading, Intercontinental Exchange Group, Jane Street, Jefferies, JPMorgan Chase, Miami International Holdings, Nasdaq, Nomura, Options Clearing Corporation, Paralax, Peak6 Investments, Royal Bank of Canada, Securities Industry and Financial Markets Association, Security Traders Association, Simplex Trading, Societe Generale, Susquehanna, TMX Group, Two Sigma Securities, U.S. Securities and Exchange Commission, UBS, and Walleye Trading.